Building long-term relationships is our priority at Yocum & Company. We start the journey by taking the time to listen to and understand each of our clients personally. Together, we carefully chart a course to pursue financial success. We believe in using prudent investment strategies. For more than 30 years, our clients have looked to us for financial direction. We are dedicated to guiding and sustaining that mission. 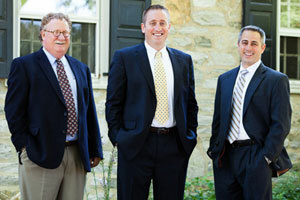 Yocum & Company is an independent financial services, wealth management, and consulting firm. As independent financial professionals, we have the freedom to provide diverse guidance and insight to our clients. We recognize that each person’s situation is different, so we develop a financial plan that focuses on helping you accomplish your personal goals. Accordingly, our approach will be to pursue an in-depth understanding of your financial situation and the personal values you hold as they relate to your investment plan. This approach allows us to forge a strong partnership with you and to assist you as we strive to turn your dreams into reality.